downtown | Real in L.A.
Walt Disney Concert Hall. A small ensemble and a famous conductor/composer of New Music wait on stage. A trim young woman in narrow black slacks and scoop-necked black top enters holding a wireless microphone. She stops, looks around as though she’s not quite sure what she’s doing there. The iconic conductor gives the ensemble a signal, music issues forth, and instantly the woman morphs into an assured vocalist. She sings in short, breathy phrases with dreamy concentration. At times she gestures languidly. The poignant lyrics, inspired by letters between distant lovers five centuries ago, evoke love and loss. Her companion, foil, background is the ensemble’s lush music. Together they weave a melancholy and utterly captivating tapestry of sound. The piece concludes and, instantly, the vocalist is again a bewildered child: stiff, uncertain of what to do or where to go until the conductor seizes her hand and leads her into a bow. They exit, but wild applause draws her back onstage where she stands in bewilderment until running off again. 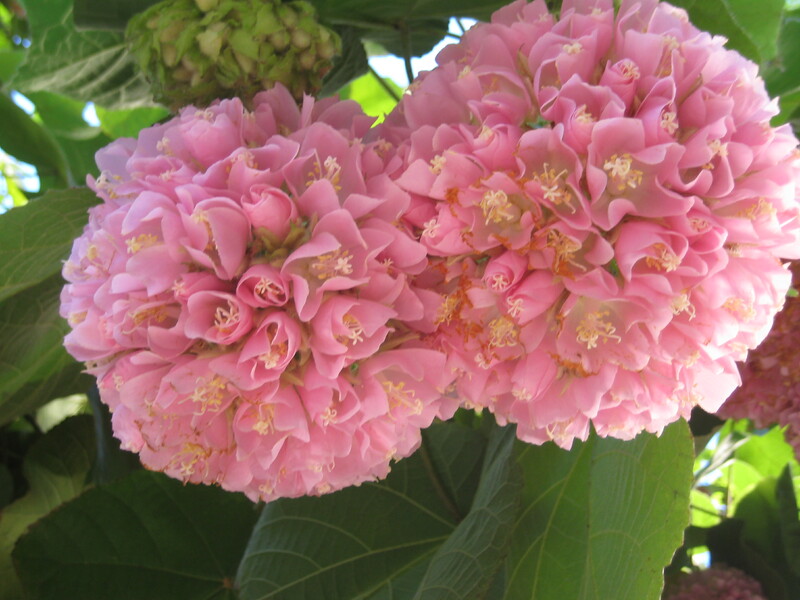 The abrupt transformations astonishes me. The young woman is Julia Holter and the composition —Memory Drew Her Portrait— is hers. 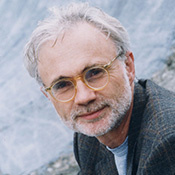 The piece was commissioned by the Los Angeles Philharmonic, and this performance is its world premiere. Holter is a CalArts MFA with three albums who has performed on multiple continents. The Phil’s New Music group played three other compositions that evening; their male composers had no difficulty mounting the stage or taking bows. I had hoped that by now, young women would have learned to step into their power rather than feel flummoxed by it. Can it be that women still aren’t supposed to display confidence, strength, and, yes, even pride? 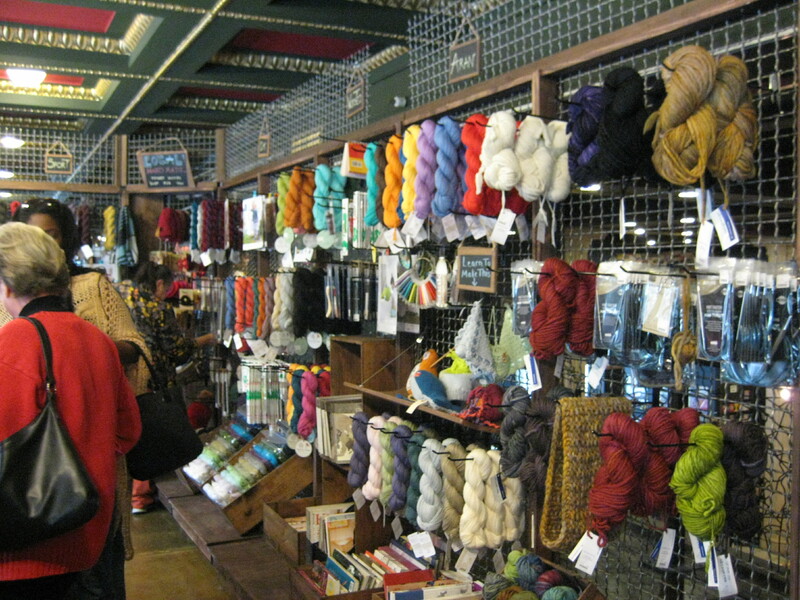 I’d heard of an art walk and a pub crawl, but never a yarn crawl before last weekend when I stumbled upon the event during a visit to The Last Bookstore. Seeing that the tiny yarn shop on the mezzanine was open, I went upstairs to check it out and found myself in a Very Busy Place. 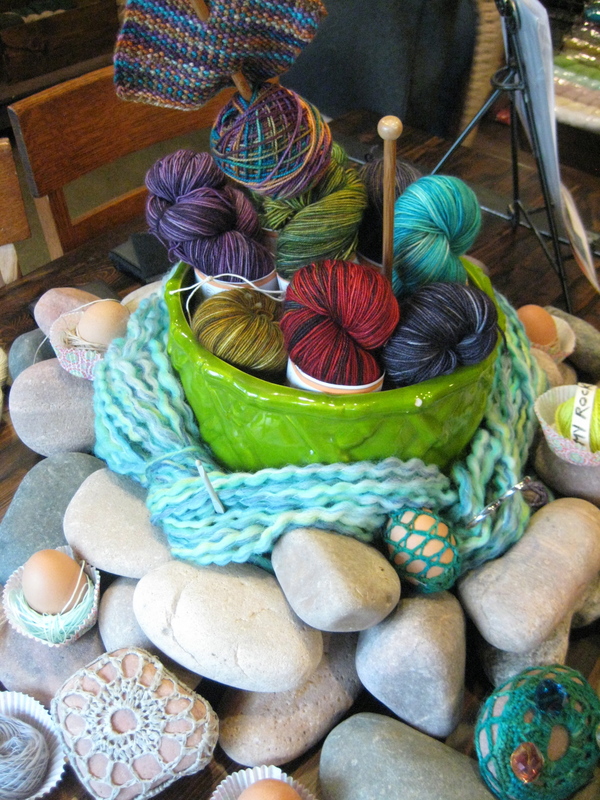 Seems that L.A. County’s local yarn shops (known simply as LYS to those of the knitting persuasion) banded together to promote their emporia by sponsoring said crawl April 11 to 14. 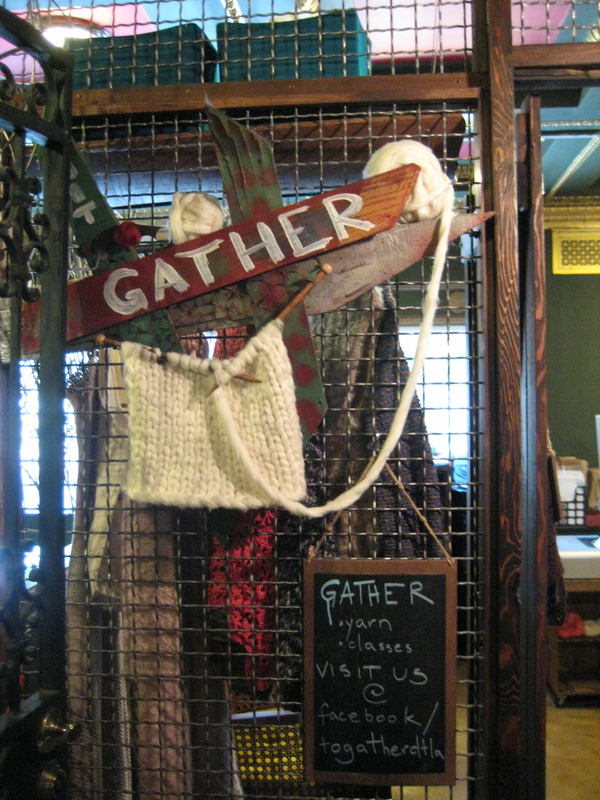 Gather, the shop at The Last Bookstore, was one of 32 participants. You could get a “passport” –a sheet of paper with LYS names and addresses printed within small squares–stamped at every store you visited, then possibly win prizes by leaving it at the last shop you visited. I kept my passport; it’s a terrific guide to the many and varied knitteries hereabouts. Turns out you can shop for yarn & accessories from Claremont and Glendora, to Whittier, Bellflower, Santa Clarita, Torrance and Tarzana. Who knew? Which gets me wondering: the LYS phenomenon began about the same time that women’s bookstores were taking a nosedive. Do you suppose there’s a correlation? Feminism’s fire transmuted via worsted wool and #7 needles into the DIY (do it yourself) movement? Much less overtly political (“the personal is the political” notwithstanding), but resistance to stultifying norms nonetheless. DIY hasn’t meant simply replicating Martha Stewart place settings (or cupcake decorations or whatever); it’s renewed appreciation for handcrafted items and creativity, and represents a turn away from the mass produced “stuff” that crowds our lives. A sweater, even a scarf, takes time and patience to knit and finish. That alone qualifies it as countercultural. 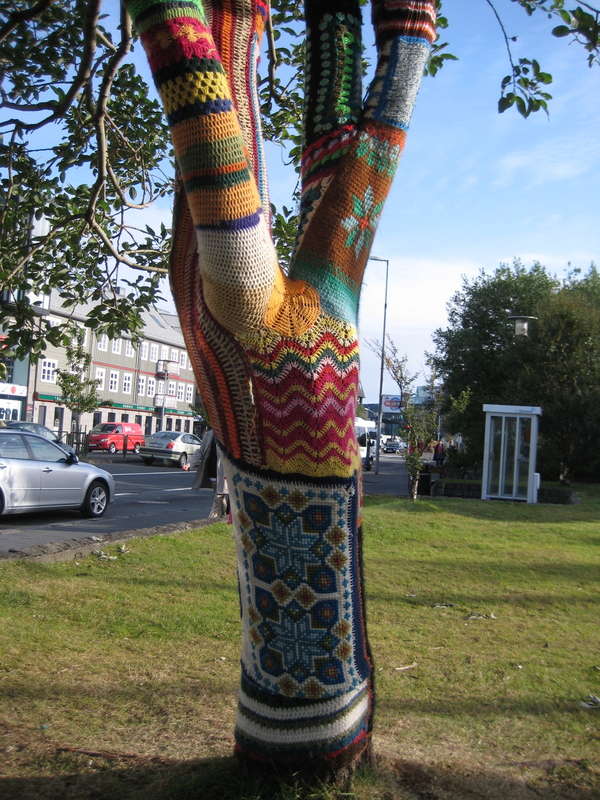 Then there are offshoots such as yarn bombing–appropriating public spaces for unexpected and unexplained displays of handiwork. And what about the high concept work of artists such as Masaki Koizumi who actually handknits playgrounds! I don’t think I can make a case for the DIY movement as daughter of second wave feminism. It’s more like a godchild. But neither do I underestimate the possibilities that open up when women gather together. They’re probably doing more than K1, P2. Good things in L.A. sometimes happen in strange places. Like Saturday night when I drove downtown to Skid Row. There, in the produce district, Inner City Arts has a serene campus of multiple buildings stocked with all manner of art-making materials. Since 1989, they’ve done what a lot of schools no longer do: provide a space for creativity to flourish. Three incarcerated women review/relive their lives and choices as the prison burns around them. Very powerful vignettes of exploitation, abuse, grief, and desperation–as well as sisterhood and mutuality. Original script & music, superb acting on a bare-bones set, each woman contained within a small square of light projected onto the floor. When a medical emergency forced one of the actors to drop out, playwright and producer Jesse Bliss Woods stepped in as a reader. It was gratifying to finally see the fruits of so many years of labor. Here’s hoping there will be future productions. In a former bank? haberdashery? 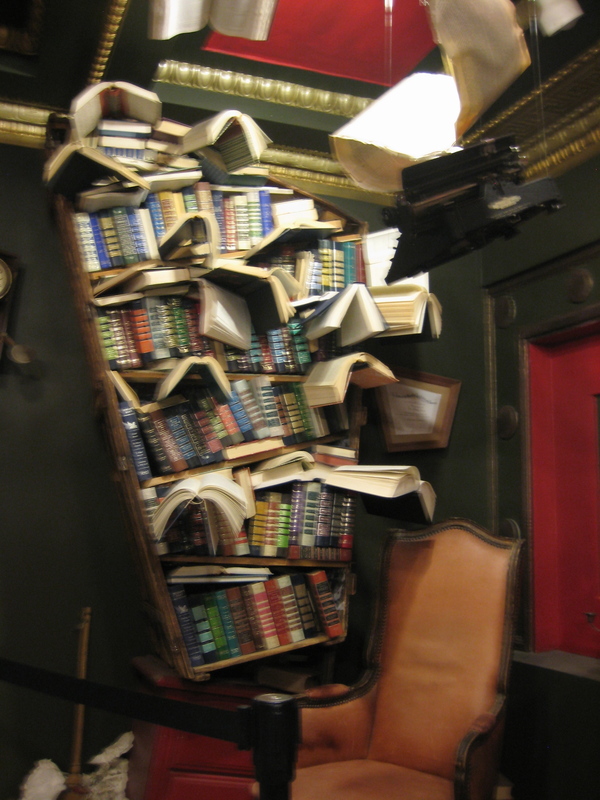 at the corner of 5th and Spring downtown, some mad genius has created a bibliophilic Wonderland called The Last Bookstore. 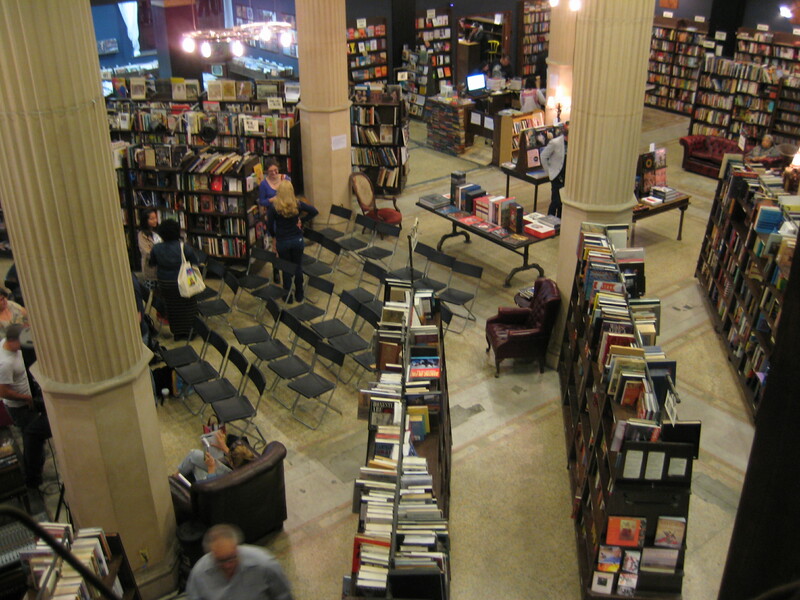 Rows of free-standing bookcases march across an expansive floor covered in the original tiny ceramic squares. Redwood-sized columns support a two-story height with a mezzanine level running along three of the walls. CDs and bins of vinyl LPs occupy an alcove that’s the size of many downtown shops. And then there’s the book-themed artwork. Books and sheet music fly into the air, support the check-out counter, create an arch along one wall. Have I mentioned the superabundance of comfy chairs and couches? The many readings, panels, events? The open mic every Monday @ 8 p.m.? And finally, as if gilding the lily, ensconced on the mezzanine is a yarn emporium while a coffee bar occupies a corner of the main floor. 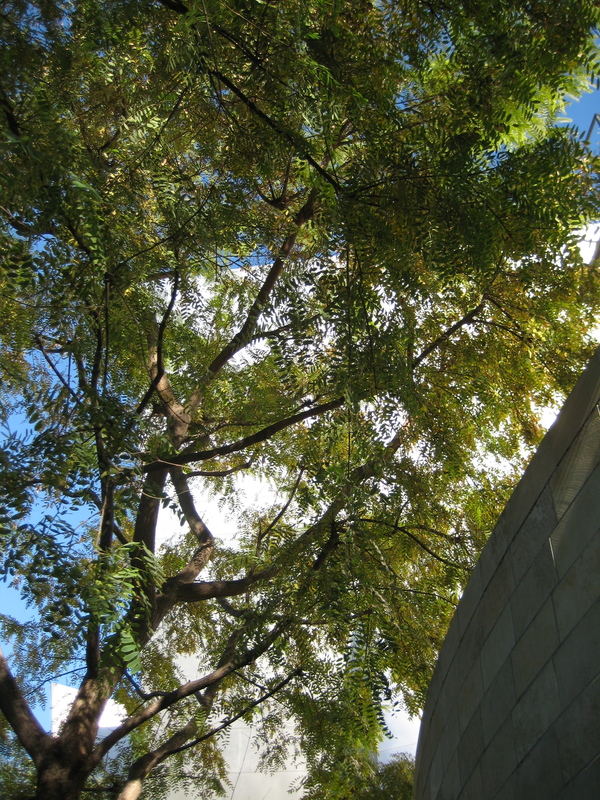 Visiting the Walt Disney Concert Hall in downtown Los Angeles means more than just music. There’s the beautiful garden on the north side. And there are the photographers —for weddings, quinceaneras, MFA projects, fashion designers—who use Geary’s undulating architecture as backdrop for their shoots. You are currently browsing entries tagged with downtown at Real in L.A..